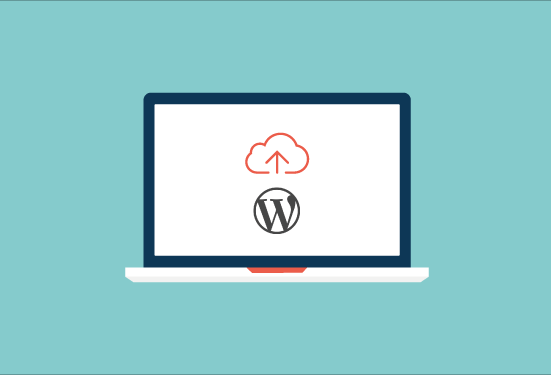 There are two main choices when it comes to Wordpress SEO plugins: “All-in-One SEO“ and “Wordpress SEO by Yoast”. The most important difference between the two is the way they handle choosing the keywords you’d like to target with the page or post you are creating. All-in-One SEO allows you to enter multiple keywords to target per page, while the Wordpress SEO by Yoast plugin makes you choose just one keyword to target. 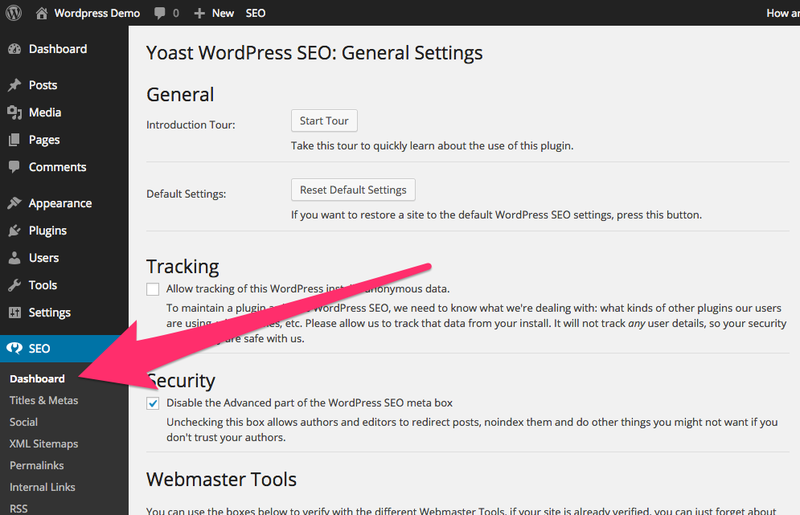 This guide, therefore, focuses on how to install, set up and use the Wordpress SEO by Yoast plugin on your Wordpress website. Do this right away, if you haven’t already. Your Wordpress website’s permalinks are the parts of the URL shown in the address bar after your ‘root domain’. Having friendly, readable permalinks will help visitors understand where they are on your website, will look better when people share links to your site with others, and will help search engines understand what your site’s about. 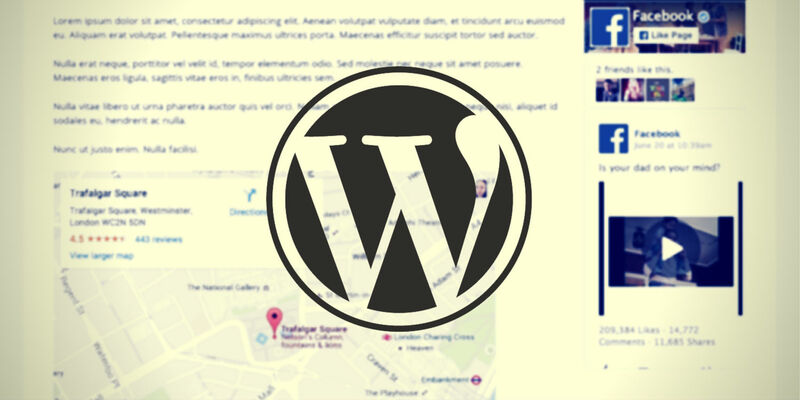 Now you can visit your Wordpress website’s homepage (or refresh it, if it’s already open in another tab) and then click on any other page or post’s link. You’ll see that the URL in the address bar now contains a ‘pretty’ permalink. The way you organise the pages, posts and categories on your website will affect the URLs of each page and post. In an ideal world, each page or post’s URL will contain descriptive keywords that tell users and search engines about the page or post’s content. Individual product pages have URLs that include their categories as well as the name of the product. For example, from the diagram above, the ‘Womens Boots’ page will have a URL of: www.examplebrand.com/footwear/womens/boots/ - this is very descriptive. URLs like these act as ‘long-tail keywords’: highly-targeted phrases that may not be searched for very often but which could bring you traffic that is very likely to make a purchase. It’s important to target longtail keywords with the deeper-level pages and posts on your site, in order to attract traffic that is looking for exactly what you’re offering, but it’s also important to consider broader keywords for higher-level pages. Broad vs. Longtail Keywords: What are they and why are they important? What are they bad for? 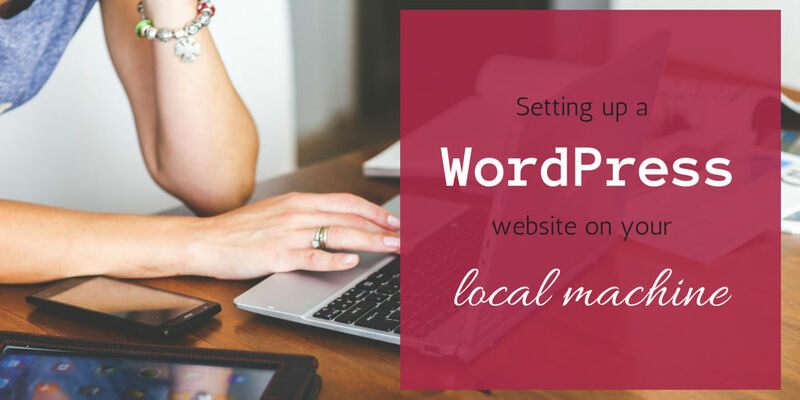 Follow these steps to add this plugin to your website, if you haven’t already. You can also adjust some tracking and security options if you need to (the defaults are usually fine here, but do read the options’ descriptions to double-check). 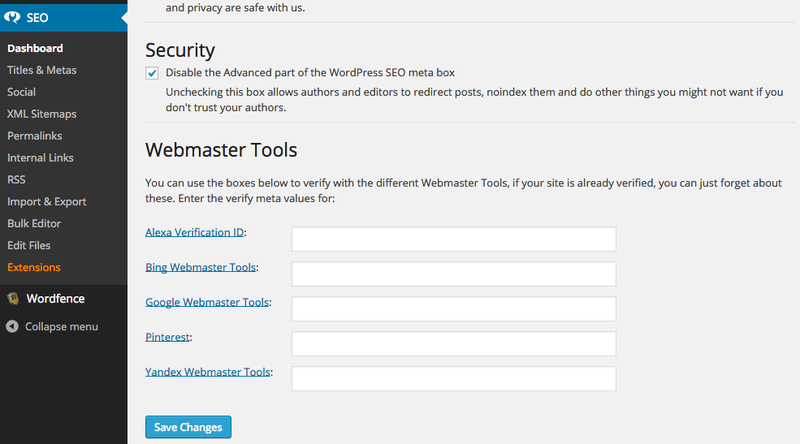 What are Google’s Webmaster Tools and how do I start using them? Google’s Webmaster Tools can be found at http://google.com/webmasters, and it’s a good idea to register (or login with an existing Google account) as soon as possible to connect your site to the suite of tools (AKA ‘verifying’ your site). You can learn how to create an account and verify your site here. These tools will track your site’s performance in Google’s search results. Importantly, you will get alerts from Google if they detect something that seems to be wrong with your site (pages not being found, or a hack attempt). It takes some time for Google to gather a meaningful amount of data about your site, so be sure to verify it in Google’s Webmaster Tools as soon as you can. A short intro video by Google can be found here. As well as General Settings, you can also click on ‘Titles & Metas’ to change the default settings for title tags and meta descriptions. However, you can also change the title tag and meta description for each page and post on your site individually, so you may not need to change many of these site-wide default settings. 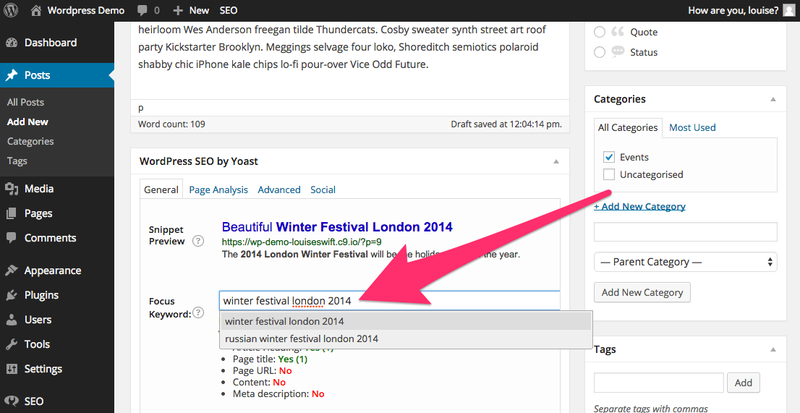 What is a Title Tag and a Meta Description Tag? The best way to see what a title tag and meta description tag do is to have a look at this ‘Google Snippet Preview’ tool. Tick the ‘Google SERP Simulator’ checkbox under the Display Options there, and then try putting a title and description into the fields on the left. You’ll see that the simulated Google SERP (‘search engine results page’) is updated to show your title and description. This is what the title and meta description tags are for: suggesting to Google what kind of snippet of information about your page it should show in the search results list, if your page ranks for the search term in question. You’ll also discover that you have a very limited amount of space for your title and description tags. 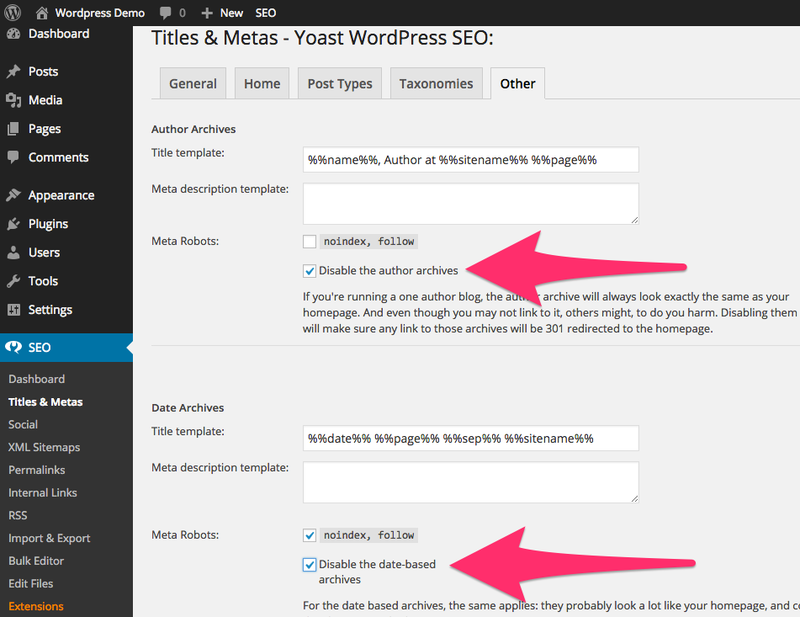 This snippet optimiser tool is more accurate at gauging the available space for these tags than the Yoast SEO plugin’s built-in character counts, so it’s a good idea to use it when creating title and description tags for any important pages on your site. Remember to scroll down and click ‘Save changes’ before you leave this page! What is duplicate content and why does it matter? If different pages of your site appear very similar or completely identical to each other (or to any pages on someone else’s site) when Google visits their URLs, the search engine will assume that you are trying to make your site appear larger and more relevant by bulking it up with extra copied content. Taking a small excerpt from someone else’s site or from Wikipedia, for example, to add a quote to your own original content is absolutely fine. It’s only large quantities of duplicate content that will cause Google to flag your site as low-quality and penalise it in the search rankings. The top section of the options box, under the ‘General’ tab, shows you a snippet preview which will update when you enter information into the ‘SEO Title’ and ‘Meta Description’ fields below. These are based on Google’s autocomplete suggestions. 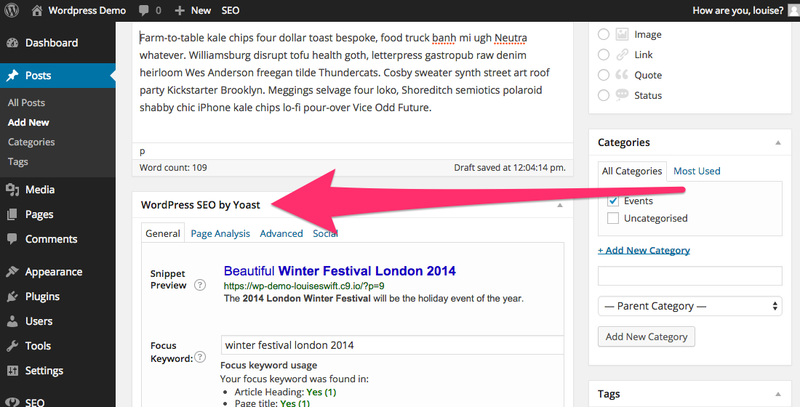 You can also use Yoast’s keyword suggest tool to research even more keywords. Read more about choosing the right focus keyword here. Fill in the next two boxes, ‘SEO Title’ and ‘Meta Description’, with keyword-containing content that makes your page snippet (shown in the ‘Snippet Preview’ area just above) look appealing. You want to beat your competition in the search results listings, remember, so write words that will get a human’s attention rather than worrying too much about putting keywords in perfectly. As you can see, there are lots of extra guidelines and suggestions there to tackle. Keywords might be useful to search engines, but they are becoming less so. This is because the most important thing to consider is the experience a user will have on a website. A page might have the ‘right’ keyword repeated on it multiple times, but is it easy to read? Does it really answer the user’s query and solve their problem? Google’s team of geniuses is constantly improving how the search engine understands the true quality and trustworthiness of a website. Keywords play a part in this, of course, but the search engine is very good at recognising synonyms and intention. If your website is about an Italian restaurant in Covent Garden, you don’t need to write ‘Italian restaurant in Covent Garden’ dozens of times on each page. In fact, this might even lead Google to penalise your site because it’s probably not helpful or enjoyable for users to see this repeated phrase everywhere. Instead, use your homepage to give an overview of the most useful information about the restaurant (the location, that day’s specials, its rating and some quotes from reviews, etc), and then use individual pages to go into more detail on each topic. If you’re providing users with all of the information that they need, you’ll be using plenty of keywords and synonyms and meaningful phrases automatically. Congratulations! 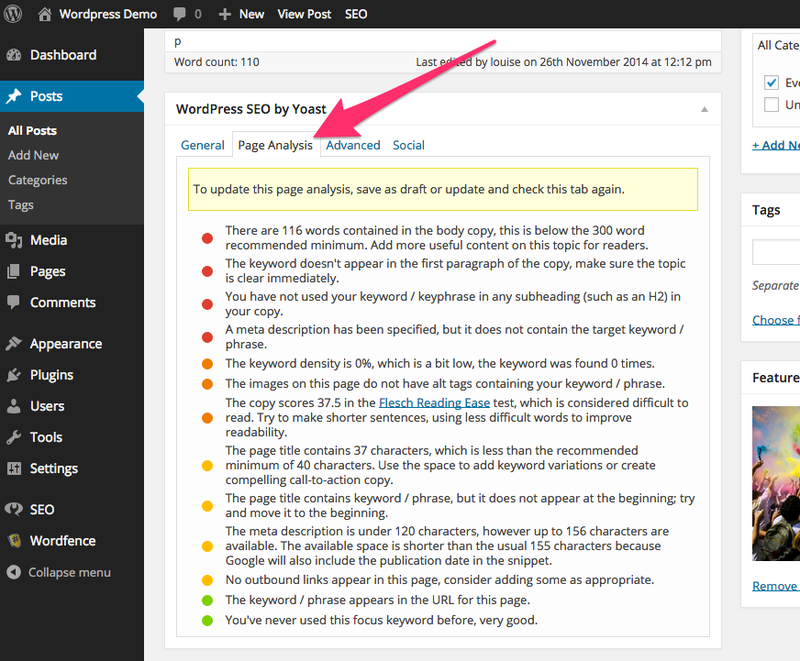 You’ve installed, set up and started using the Wordpress SEO by Yoast plugin. Remember to fill in all the extra SEO-related data every time you create a new post or page, and to register for Google’s Webmaster Tools so that you can track how your site is performing in the search results over time. Any extra questions? Email us or ask in the comments below.